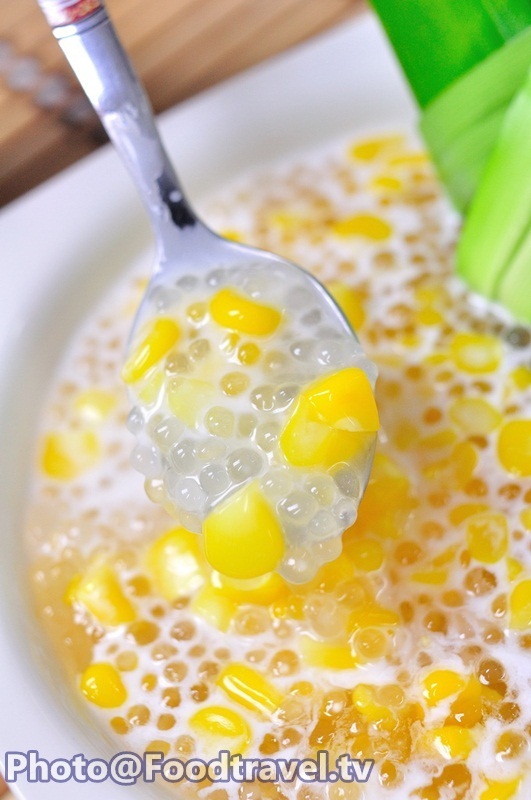 Coconut Sago with Fresh Corn (Sa Koo Khao Pod) - For this recipe, we can guarantee for the delicious of sweet corn, serve with fresh coconut milk, and soft - smooth sago. 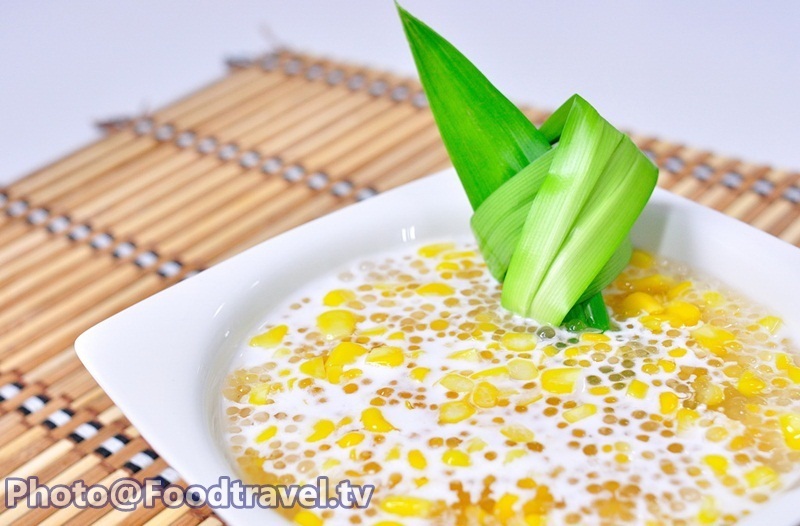 Coconut Sago with Fresh Corn is delicious dessert recipe that you shouldn’t miss to try. 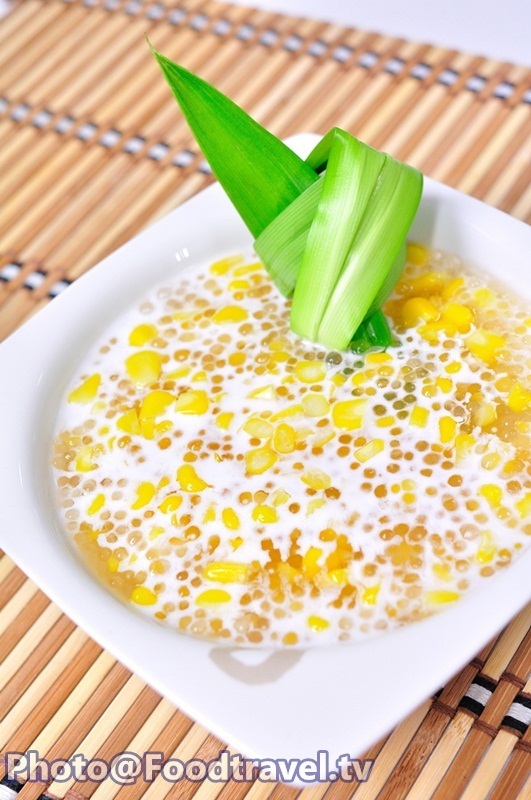 Coconut Sago with Fresh Corn (Sa Koo Khao Pod) - For this recipe, we can guarantee for the delicious of sweet corn, serve with fresh coconut milk, and soft-smooth sago.‘Coconut Sago with Fresh Corn’ is delicious dessert recipe that you shouldn’t miss to try. 1. 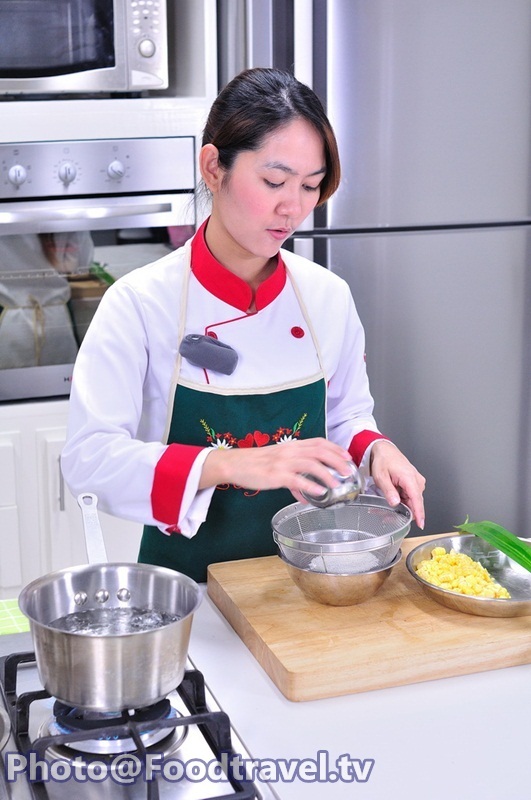 Put water into a pot and boil it. Then, rinse it once. 2. 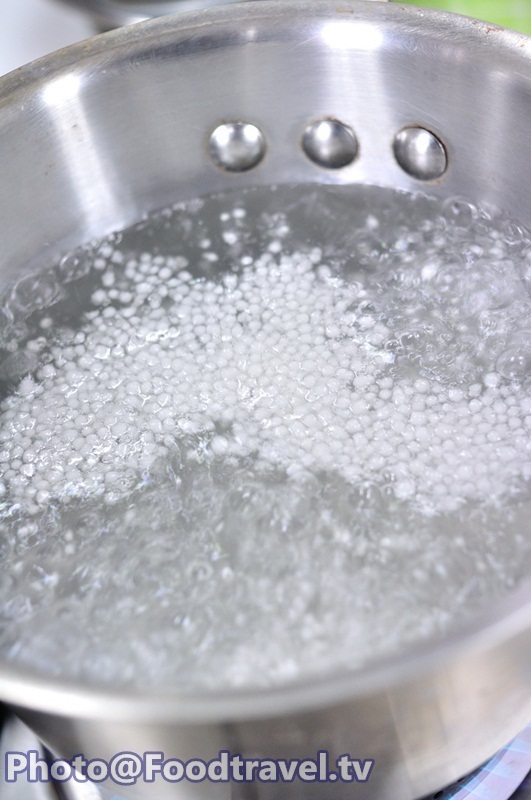 Pour sago into the boiling water. Boil it for 10 minutes. 3. 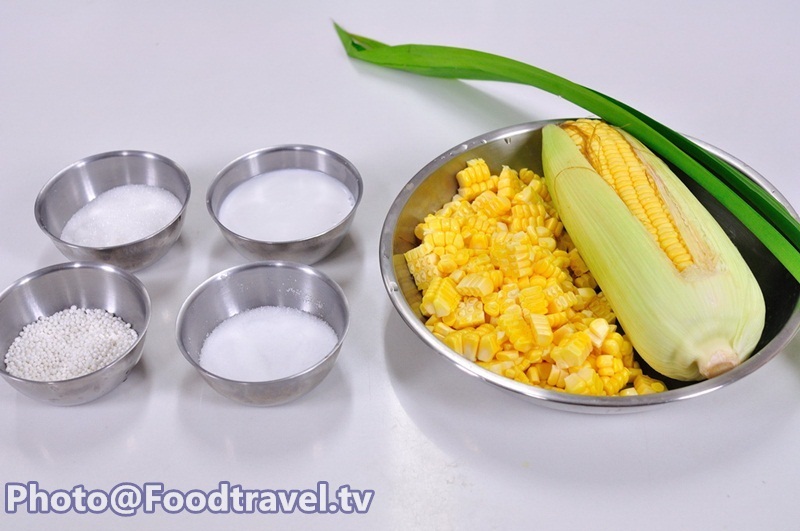 Bunch pandan leaves and put in the pot, followed by a corn. Boil again for 5 minutes until it cooked. 4. 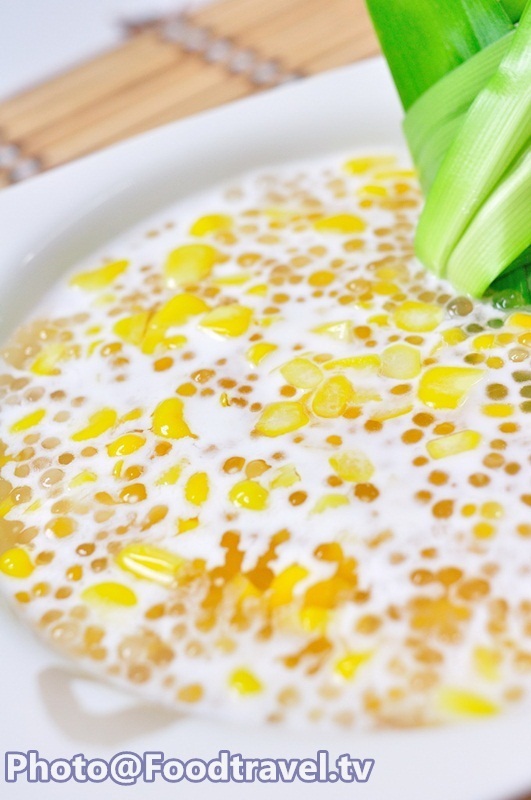 Drain out water that use for boiled sago and corn. Then, season with salt and sugar. Mix them well. 5. 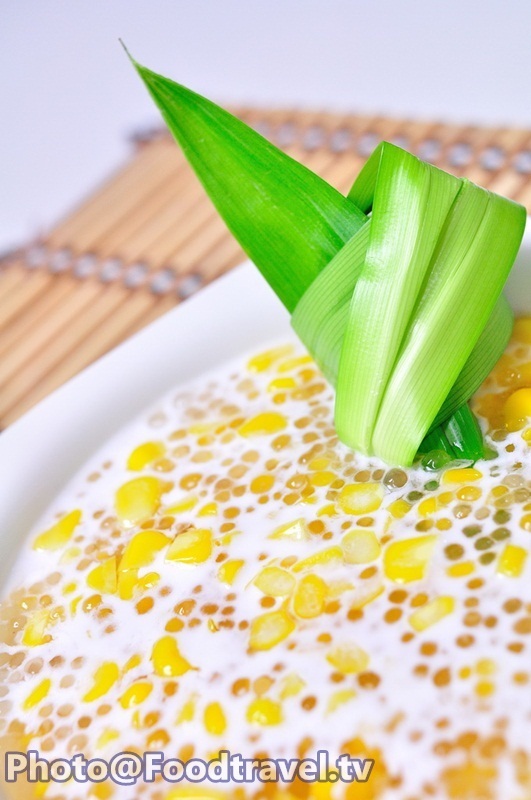 Before serving, garnish with fresh coconut milk. Ready to eat. 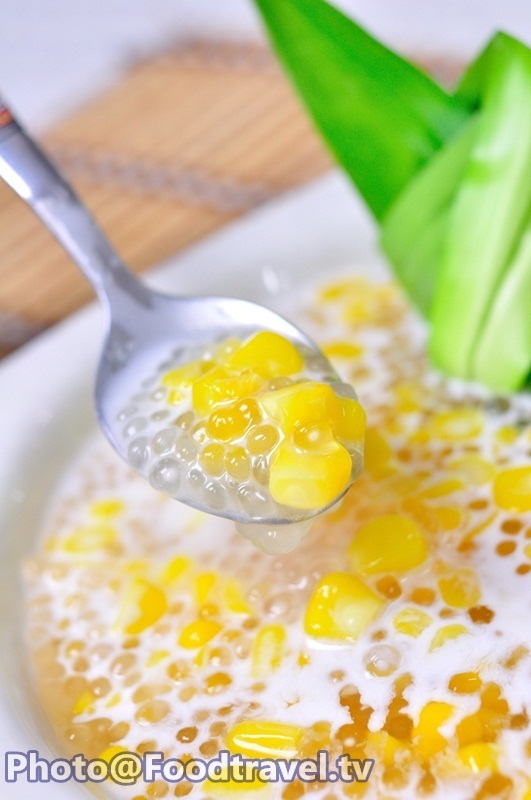 Coconut Sago with Fresh Corn (Sa Koo Khao Pod) - For this recipe, we can guarantee for the delicious of sweet corn, serve with fresh coconut milk, and soft-smooth sago. 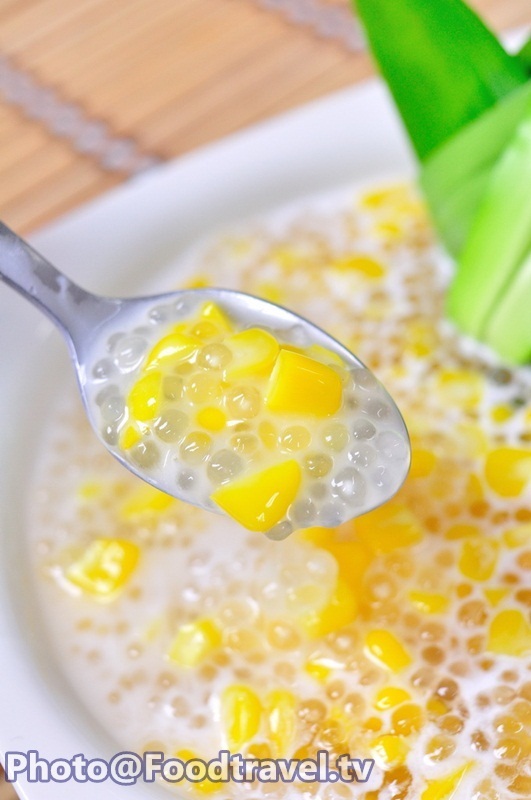 ‘Coconut Sago with Fresh Corn’ is delicious dessert recipe that you shouldn’t miss to try.